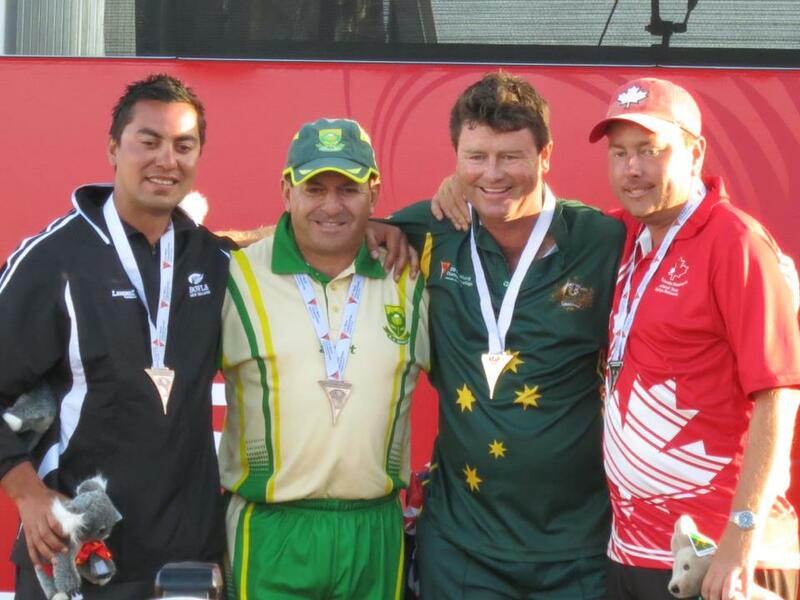 After an exciting couple of weeks bowls the 2012 World Championships have come to a close. All the bowlers are on their way home to continue on with everyday life. This was a fantastic event that was well put on by the Australian clubs of Lockeyley’s Bowling Club and Holdfast Bay Bowls & Croquet Club. Congratulations to the Volunteer teams that made this all a success. Years of preparation has paid off and their has been nothing but compliments that have flown in from all the players from around the World. LAIDES SINGLES: Was a renewed rivalry as these two women have played each other many times in finals as Karen Murphy (AUS) defeated Val Smith (NZ) in the Gold Medal Match. The women’s Bronze was shared by Canada’s own Kelly Mckerihen and Natalie Melmore (ENG). Bronze: Ryan Bester / John Bezear (CAN) and Graham Shadwell / Jamie Chestney. Congratulations to all the competitors for representing their countries proudly. Was a great tournament played by everyone and once again thank you to all the volunteers that made the Championships a success.